One of the key elements of a great mobile device is a top performing display and according to the experts over at DisplayMate, the Surface Pro 3 is worthy of such honor. In a detailed review of Microsoft's new slate, DisplayMate president Raymond Soneira said it has one of the very best and most accurate displays available on any mobile platform and OS. It wasn't quite good enough to thump the Samsung Galaxy Tab S 10.5 from its perch as the top performing mobile display but it went neck-and-neck with Samsung's slate is most performance categories and even beat it in a few. In terms of color accuracy, Soneira said the Surface Pro 3 exhibited the absolute best color accuracy they have ever measured. The review also points out that while the Pro 3's display is considerably larger than other top tier tablets, it is more power efficient and actually uses less energy than many smaller slates. For example, for an equivalent area and display brightness, the Apple iPad Air uses 66 percent more display power than the Surface Pro 3. Speaking of brightness, Microsoft's new flagship earned a rating of very good in this category but it does lag behind the competition. Its 371 nits is no match for the 449 nits afforded by the iPad Air and the Kindle Fire HDX 8.9's rating of 527 nits. Due to its size, however, Soneira speculates that the Surface Pro 3 is less likely to be opened outdoors in unshielded high ambient light environments like smartphones and smaller tablets. 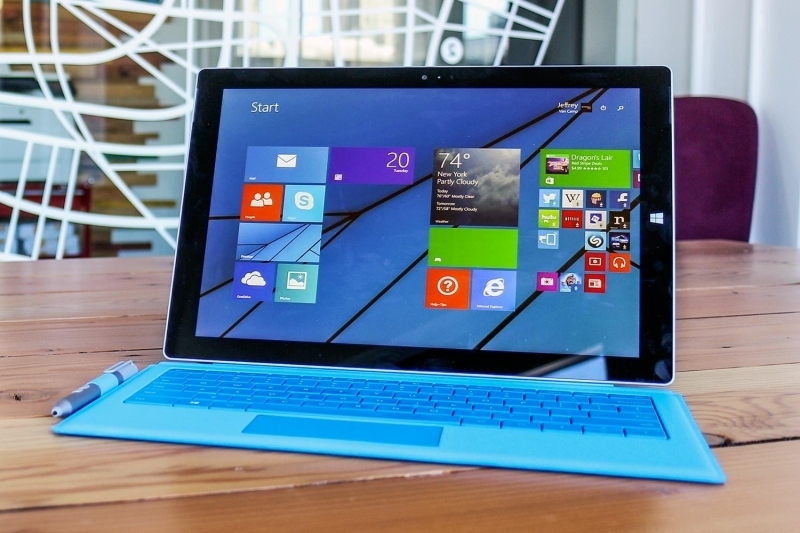 For a complete breakdown of the Surface Pro 3's display, be sure to check out the full review.